My uncle used to come over to our house on Friday nights after the work week at the factory had ended and have a few rum and Cokes with my dad, who was the foreman of the factory. They'd yak about work and get more intoxicated, and eventually my uncle would start telling stories about when he was in the Navy which were so dirty me and my brother had to go to bed. Sometimes he'd bring Tab Cola instead of Coca Cola. I'm not sure why he did. He may have had undiagnosed diabetes. I remember how the pink cans stood out. 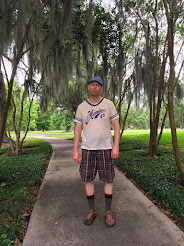 from the beginning they mesemerized me. And I'd wait all night as his drinks got stronger and stronger, pouring less and less of the delicious nectar in to dilute the rum. Rarely would I be so presumptuous as to ask for a can, or bottle, outright, and to my horror he sometimes used all of it, or worse, took it with him. But many times he left some for me. That's what it looked like. I was captivated. Then Tab Cola disappeared. I guess I didn't notice that much because I loved Coca Cola. Years went by, and I moved to Chicago. 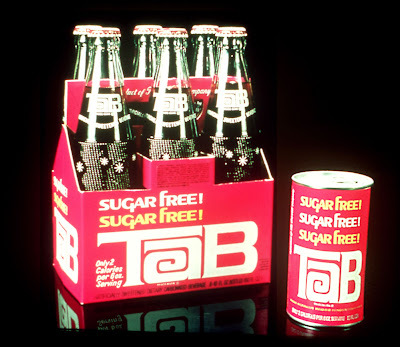 One day I walked in to the Dominics on Chicago Avenue and there it was... Tab Cola. 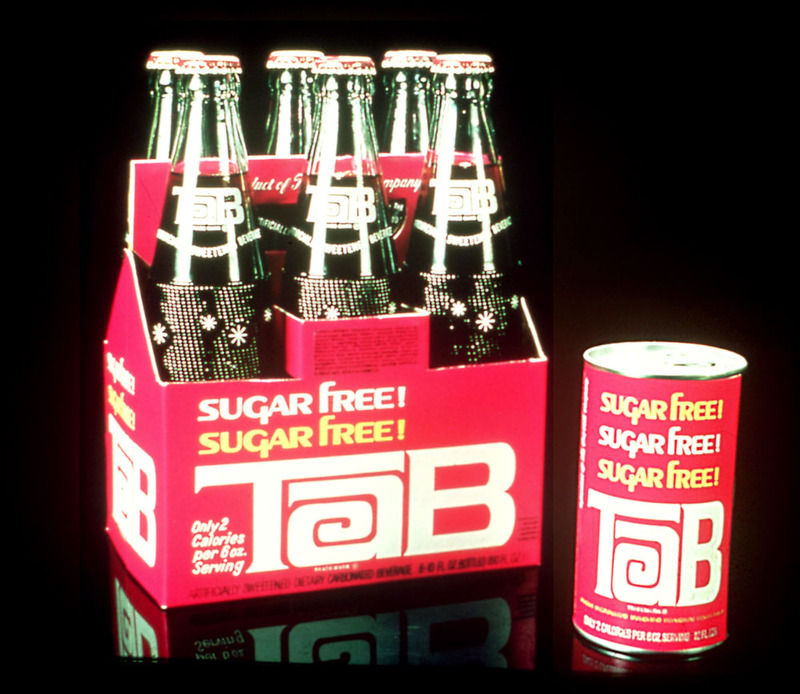 After many years off the market the Coca Cola corporations has quietly re-introduced Tab Cola to the American people. Sales were ok, but not good. Coca Cola even threatened to discontinue production of Tab Cola, but a funny thing happened: fans of Tab Cola went insane, and flooded Coca Cola with petitions, letters, and phone calls. Tab Cola remained on the shelves. The market share was small, but Coca Cola learned it was profitable because no advertising was required. They just put it on the shelves and Tab fans snapped it up. When I returned to Rockford Tab Cola was harder to find. It seemed I was always competing against a small group of Tab fanatics for a limited supply. I tried not to horde because I knew if it meant this much to me it probably meant the same thing to the other anonymous Tab fans I never saw but observed the effects of. I knew the disappointment of making a special trip to one supermarket instead of another only to find the last Tab Cola had been bought.